He thought he would have a logical explanation, until he watched the video. “That is not an airplane, that is not a helicopter, those are not birds, I can’t identify it,” he said. He also told us the objects are not insects. The North American Aerospace Defense Command is located in Colorado Springs. It keeps an eye on the skies in case of an air attack against the United States. The man who brought the video to our attention believes the UFOs are launching and landing near 56th Ave. and Clay Street in Denver. A Map shows only homes in the area. So are they UFOs? A secret military test? Floating debris? The answer is anything but clear. 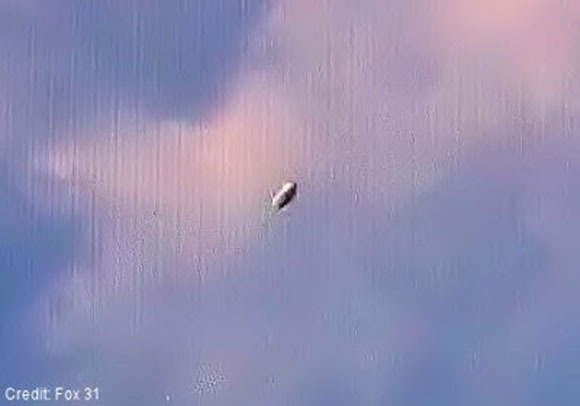 What do you think this UFO is? Join the conversation about this story on Facebook. Video below was shot by FOX31 Denver photojournalist Noah Skinner. The video zooms in on a fast moving object.